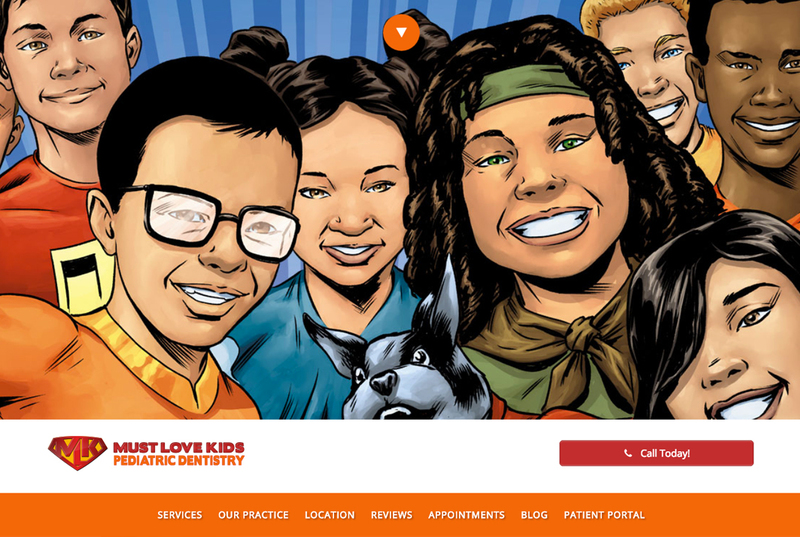 Must Love Kids, the pediatric dentistry practice of Dr. Prashant and Dr. Monisha Gagneja, illustrates the power of an original, layered and attractive brand that targets the market they want to reach. Self-proclaimed nerds, “Dr. G” and “Dr. Mo” invested time and effort into creating an authentic cast of characters in a comic book format for the story-telling value and the added bonus of entertaining patients during their visits to the dentist.